Just returned from another great shuttle trip! This weekend Sean, Joey, and I drove to Sherando Lake to get a few runs on Torrey Ridge, Kennedy Ridge, Slacks, and White Rock Gap trails. The weather forecast was grim - rain expected throughout the weekend. Our luck triumphed once again, however, and we only had rain at night, which burnt off early on Saturday morning to reveal blue skies and comfortable temperatures. This weekend we stayed at low elevation also, which meant much warmer temps while we camped. Our plan on Saturday was to take turns driving the jeep, while the other two rode the trails. That meant two runs for each rider after three quick shuttles to Torrey Ridge. Unfortunately, Joey and I both wrecked during our runs. Joey caught the worst of it, though, when he bruised his ankle after being pitched over the front of his bike. To add insult to injury, he smacked a tree limb with his eye a little further down the trail, which ended his day of riding. 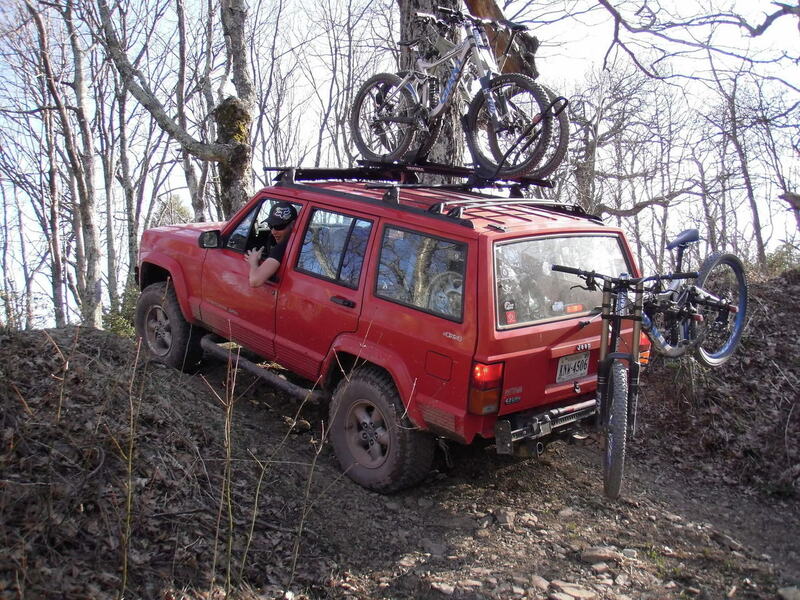 We decided to break for lunch and then shuttle Kennedy Ridge via offroad trails. Since Joey was unable to ride for the remainder of the day, he volunteered to drive Sean and me to the top. The drive up was pretty epic - rocky terrain and several water crossings - all the while with two bikes strapped to the rear rack. 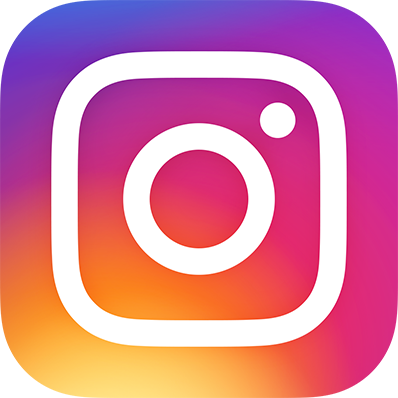 Sherando from dennis throckmorton on Vimeo. The drive to the top took a while and we were losing light, so Sean and I quickly grabbed our gear and headed down the trail. The Kennedy Ridge trails were mainly fire road with some bits of singletrack mixed in. We flew down the wide-open sections and made it back to camp in no time. After a full day of riding, we relaxed by the fire and celebrated a great weekend of riding. The next morning we packed up and headed home. 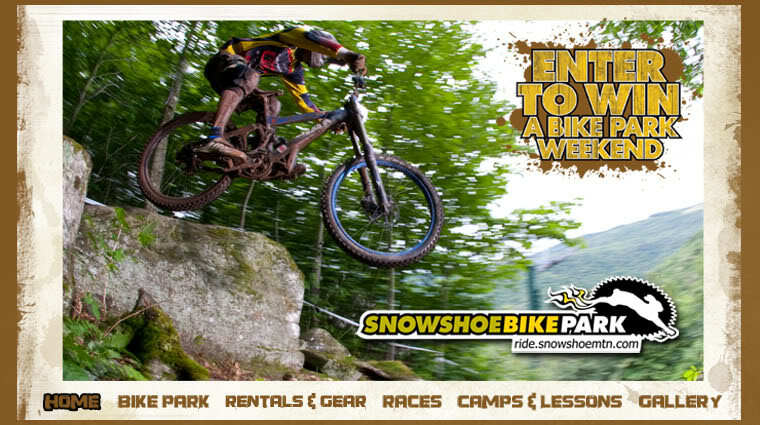 Just another example of my random luck - Snowshoe used a photo of me for one of their preseason ads. Sweet! 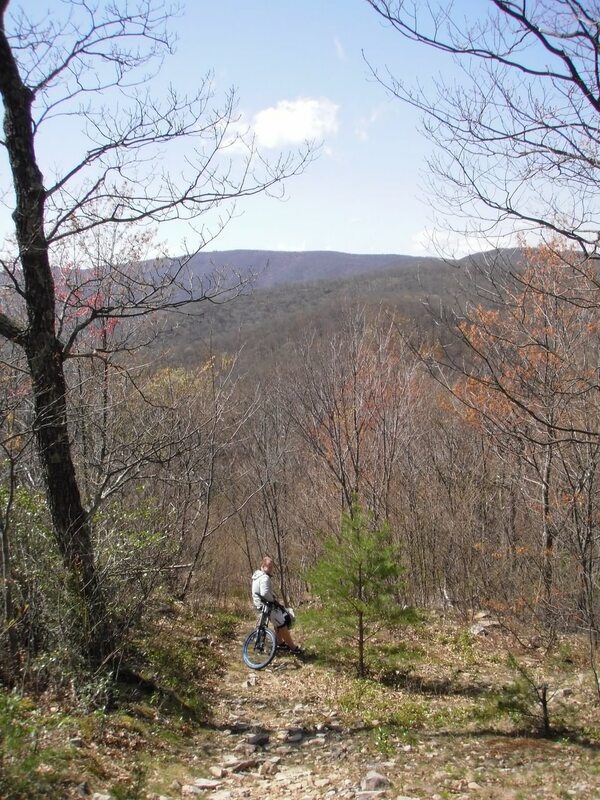 This weekend marked the first mountain bike trip of the season. We left Richmond on Friday night and met up with John and Robin at our campsite. The wind was nonstop the entire weekend, which made the brisk temperature feel even more chilling. We had a great campsite though, aided by the ultimate convenience of having John's offroad trailer to use as our kitchen. John's got a pretty dope setup. 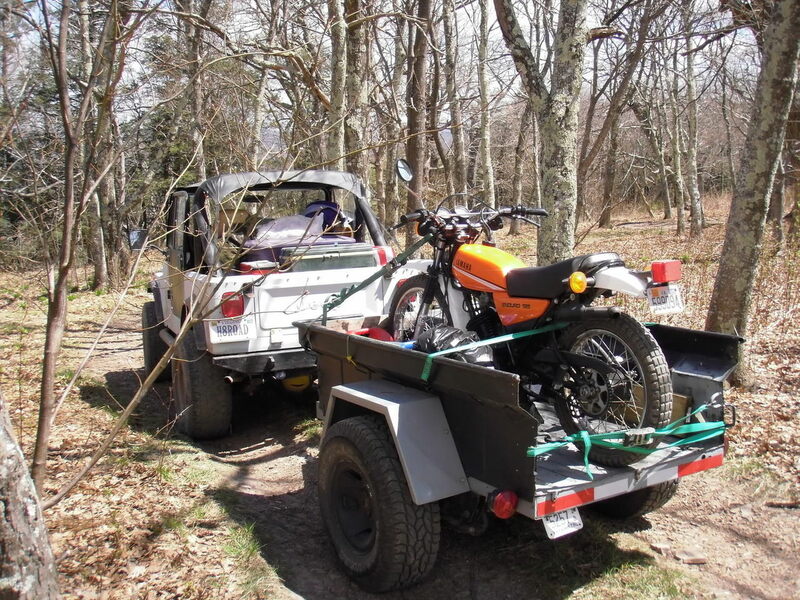 A Jeep CJ pulling a stout offroad trailer, which holds most of the essentials and one very fun toy - a 1980 enduro motorcycle. I'm definitely jealous. On Saturday we took a run on a scorching downhill trail to Hone Quarry, where we were met by Rachel, Robin, and John. 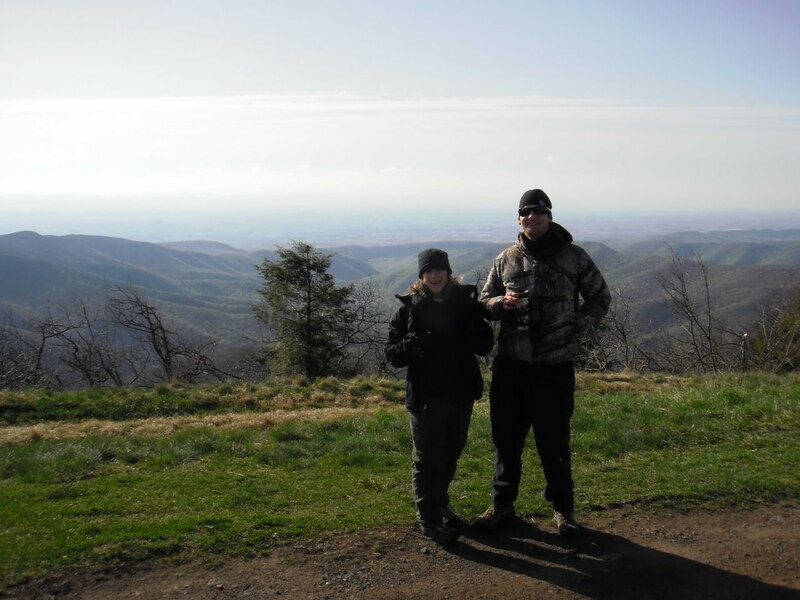 When we returned to the top of the mountain, we were met by Nick, who'd driven from DC to ride with us. After lunch we took another run. 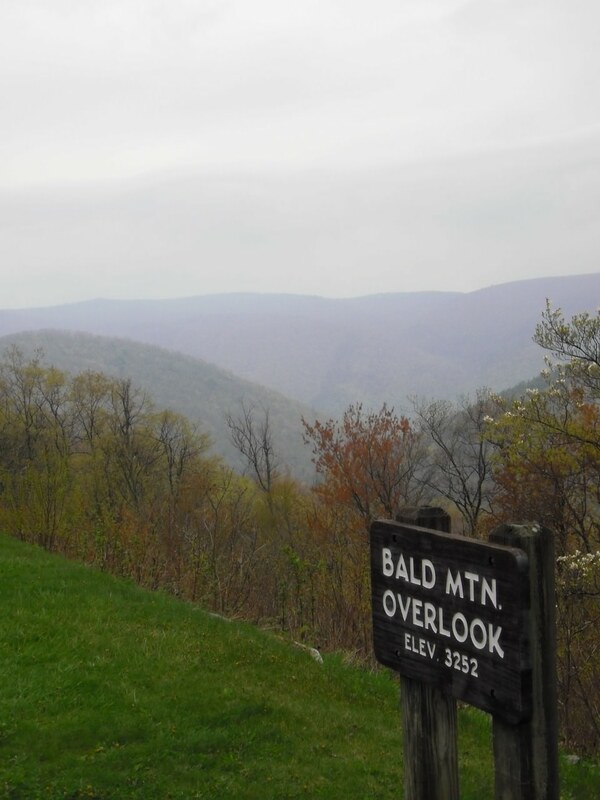 This time we set out for a longer route, which turned out to be a bit more hiking than riding as we followed the ridgeline on a "tour de knobs." The last section of the trail was all downhill, however, and a real scorcher at that. The next day we packed up camp and took two runs on our way out of the area. 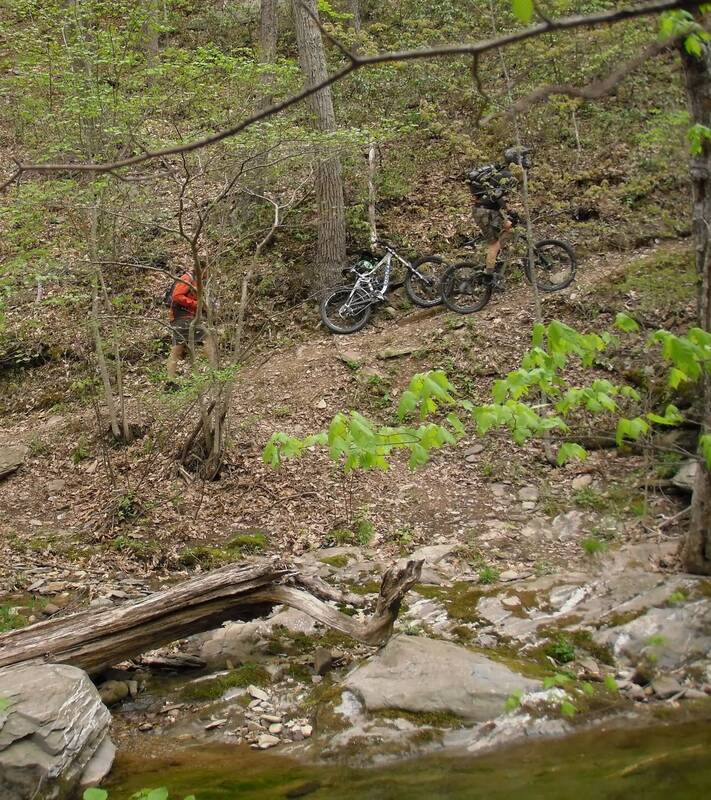 One was similar to our first ride, which dropped us again at Hone Quarry. 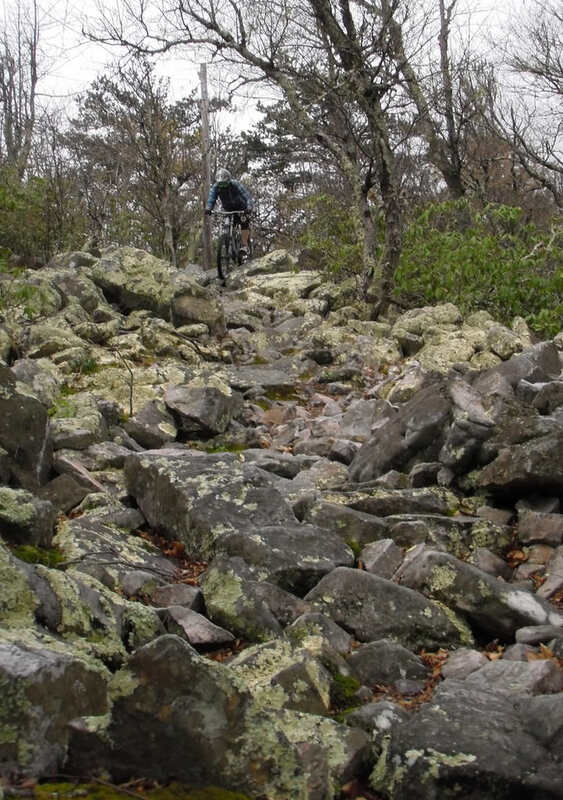 It had it all - narrow singletrack, loose rock gardens, and fast, wide-open sections. A great way to cap off the weekend. One more quick run near Second Mountain topped off the weekend and soon we were on our way home. After nearly eight months of waiting, my new 2010 Glory has arrived! It couldn't have come at a better time with the first race of the season only one month away. That should leave enough time to break-in the bike and get a couple of rides on the new setup before the Massanutten Yeeha. 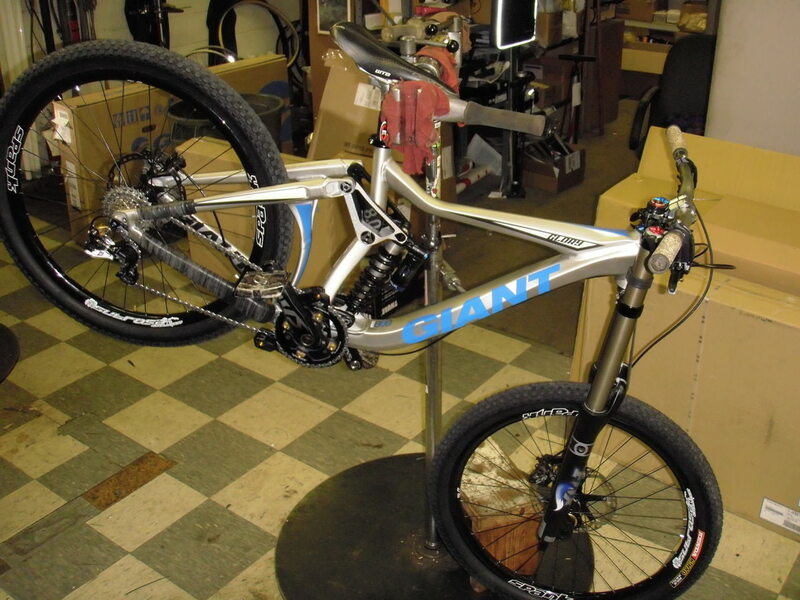 The new frame is drastically lighter than its '09 predecessor. With nearly the same build as last year, minus some lighter rims and tires, the new Glory weighed in at 37.3lbs - over 6 pounds lighter than last year's bike! It's going to be a great season.